Published: March 16, 2018 at 02:50 p.m. Updated: March 29, 2018 at 02:41 p.m. In the middle of Tuesday's frenzied negotiating period, the Arizona Cardinals' acquisition of Sam Bradford sent shockwaves across the football world. Not because the quarterback-less Cards took a chance on a former first-overall pick, but because they doled out $20 million and $15 million guaranteed for the services of a QB with a degenerative knee and a sub-.500 career winning percentage. Ahead of Friday's introductory press conference, Bradford assuaged fears his knee would sabotage Arizona's substantial investment. "My knee feels good," Bradford told the Cardinals' team website. "I went through some struggles last year with it, and it was probably one of the most frustrating seasons I've had mentally. The first part of the season, I just couldn't get it to calm down. "But with the procedure I had in November, I was able to get myself into a position to suit up for the playoff games, and really since then, it felt good." 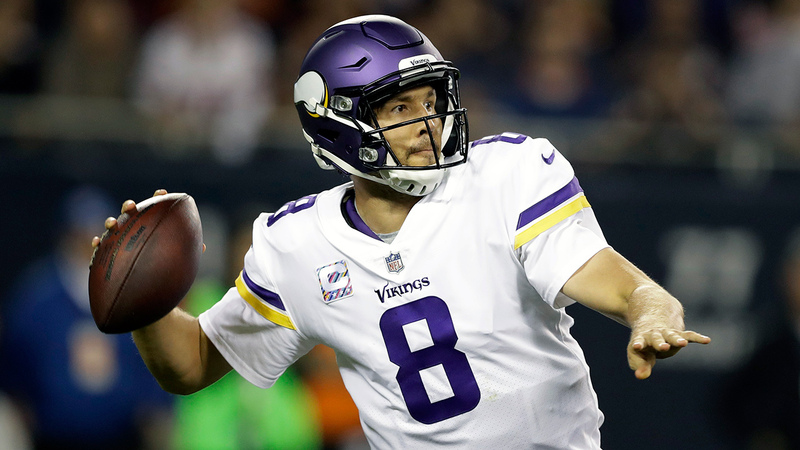 The former Minnesota Vikings quarterback hasn't participated in a live-action game since Week 5 when he was pulled from a Monday night start in Chicago after taking four first-half sacks. Bradford was placed on injured reserve soon after, but returned to the active roster for Minnesota's two playoff games, taking the place of Teddy Bridgewater behind Case Keenum on the depth chart. It will be hard for Bradford to escape questions about his left knee, which he has injured significantly thrice over his now-nine-year career (two torn ACLs in St. Louis). But Bradford, 30, insists that these injuries, the last of which was at one point reportedly career-threatening, are behind him. "In my mind, it's really not an issue," Bradford said. "I think everyone outside of this building is probably worried about it, but having gone through the rehab process and having gone through injuries before, as a player, you really can't focus on it. "I trust the process I've been through to this point. I know the strength staff here, the training staff here ... we've talked about putting a plan in place to make sure my knee is as healthy it can be Week 1." Still, should something befall Bradford, the Cardinals have a contingency plan. Arizona signed former Bucs QB and Bears "starter" Mike Glennon to back up Bradford in 2018. Under new coach Steve Wilks and offensive coordinator Mike McCoy, the Cards also intend to ride Pro Bowl running back David Johnson, who is coming off a significant injury of his own, which should alleviate pressure on whomever is under center in the desert. At his best, Bradford is a top-10 signal-caller; his transcendent performance in Minnesota's Week 1 win over the Saints proved as much. The Cards are hoping that's the Bradford that they acquired, an uber-accurate quarterback who can take Arizona, and a swan-singing Larry Fitzgerald, out of the desert and toward the promised land before its Super Bowl window closes for good. But as has been the case the last decade, the fate of Bradford and the 2018 Cardinals will rest, uncomfortably, on the quarterback's fickle knee.